When driving around Rowlett, your minivan engine needs clean air to burn the fuel – and it needs a lot. In fact, a typical vehicle needs about 216,000 gallons of air for every tank of gas. Of course, that dirty air keeps on going through to your minivan engine where it’s burned along with the fuel, which dirties up your combustion chamber and increases harmful exhaust emissions - not a good thing for Dallas air quality, not to mention our lungs. When your cheerful Compton Automotive service advisor brings out your dirty air filter and recommends a replacement, remember the cost and poor performance that can be waiting for you down the road if you neglect this simple Compton Automotive service. 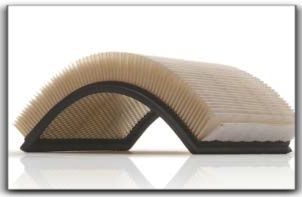 Ask your Compton Automotive advisor if it’s time to replace your engine air filter. 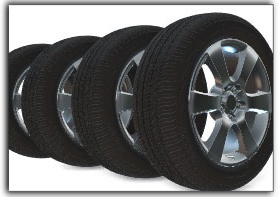 Compton Automotive in Dallas has been providing quality auto repair services for Rowlett car owners for 7 years. Our specialties include power steering service, cooling system service, and transfer case service. 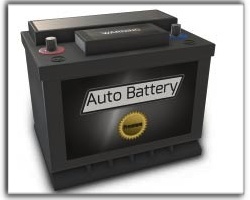 In today’s Compton Automotive auto care blog, we are focusing on battery maintenance. Eventually your car battery will fail and you will need to replace it. In fact, 70% don’t even make it four years. There are some things Dallas drivers can do, however, to make their battery last a little longer. Now, if you were on a long TX road trip, no sweat – you’d have plenty of time to fully recharge your battery. But not if you’re making stops around Dallas. Every time you start your minivan engine, your battery takes that big hit again. Multiple starts – multiple hits. By the time you get home, you have less than a full charge. When the battery is continuously in a discharged state, it loses its ability to fully recharge. This starts a downward spiral in your battery life. Now when your battery is on its way to getting this bad, your alternator is working overtime trying to keep it charged – which causes the alternator to wear out prematurely. A lot of experienced Dallas technicians suggest replacing your battery after five years, even though it hasn’t yet failed, as a maintenance item to extend alternator life. Now, there is something you can do to help your battery last longer by hooking up a battery charger once a month in the summer and every three months in winter. This will ensure your minivan battery routinely has a full charge. You can do this less often in the winter because the electrochemical process slows down when it’s colder and less damage is done when your battery is low. Computerized battery chargers are real easy to use because they monitor and control the charging rate to keep the battery from overheating while it’s charging. We recommend that you ask your cheerful Compton Automotive advisor to test your battery so you know how much life is left. If it’s good but needs a maintenance service, he’ll have it cleaned up and make sure the connections and cables are good. If it’s looking like you ought to replace it, he’ll help you with a battery that’s right for your minivan and driving needs.